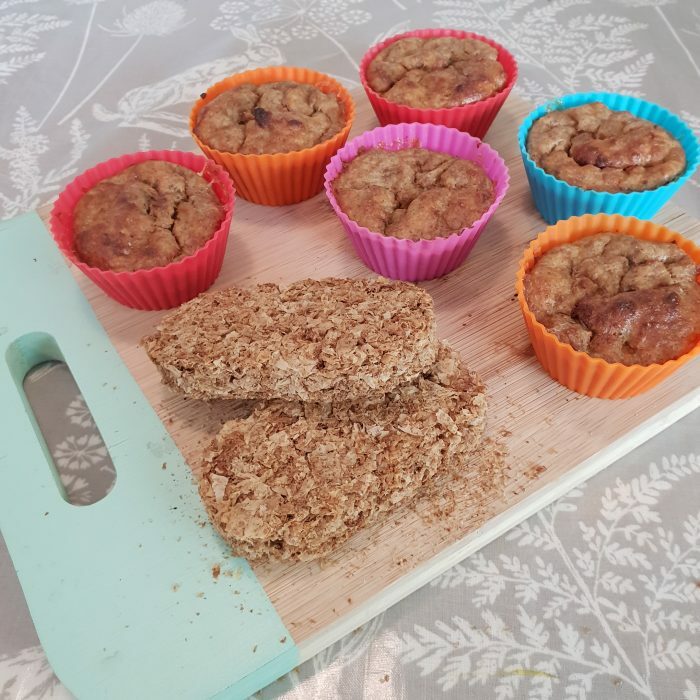 These quick and easy muffins make a great breakfast or snack for your little one. They’re really easy for baby to pick up so perfect for baby led weaning. Place the Weetabix in a bowl and add the other ingredients. Mix well. Spoon the mixture into muffin cases. Bake in a preheated oven at 180ºC for 30 minutes. How would you store these please? Can you freeze these? Look lovely. Just made! I have just made these 🙂 any idea how long they last in the fridge?